Sheldon Adelson is finally going to face his accusers in a Nevada courtroom, but it’s a day he would prefer to not attend. Steven Jacobs, former CEO of Sands Macao, filed a lawsuit in 2010 following his termination from Adelson’s casino empire that accused the man worth $30 billion of graft and ties to organized crime, and a half-decade later, a judge in Nevada has finally agreed to try the case. Las Vegas Judge Elizabeth Gonzalez ruled late last week that a Nevada courtroom is the appropriate setting for Jacobs v. Sheldon Adelson, the international casino and resorts company mogul. Though the 81-year-old billionaire fought to have the case tried in Macau, Judge Gonzalez felt it should be tried on US soil. Online poker’s leading foe, Adelson has gone to great lengths to ban all forms of Internet gaming, pressuring lawmakers in both the House and Senate to pursue RAWA, a bill that seeks to restore the original interpretation of the 1961 Wire Act and ban Internet betting in its entirety. 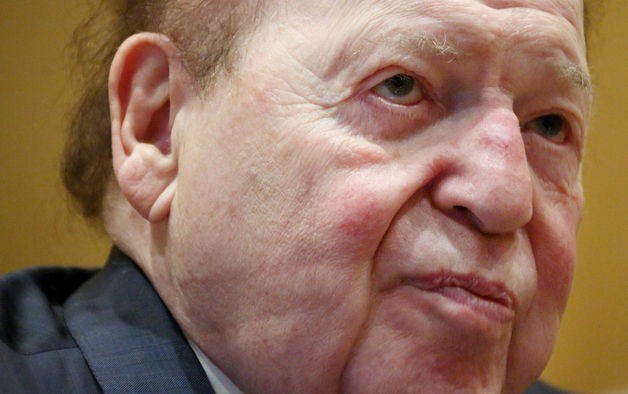 Jacobs was the top boss at Adelson’s Macau casino, China’s premiere gambling mecca. He claims his firing was a result of trying to break ties to organized crime groups in the area and distance the casino resort from the powerful and infamous Triads. Due to the global economic downturn in 2008, Macau’s gambling industry was catastrophically impacted, and the Sands was no exception. In April of that year, one stock of Las Vegas Sands Corp. traded for more than $80, but just a year later it was worth less than $2. In the lawsuit first filed in 2010, Jacobs argued that Adelson and the company were forced to engage in a number of emergency transactions to raise funds in late 2008 and early 2009. Part of those emergency dealings included paying “junket reps” from illegal crime networks to bring in mainland high rollers to Macau casinos. Jacobs decided not to pay $700,000 to Leonel Alves, a Macau lawyer and legislator, because the CEO felt the payment would breach anti-bribery laws, a notion even Adelson’s in-house lawyers agreed with. Jacobs ultimately terminated dealings with Alves, which led to Adelson terminating Jacobs, and then rehiring Alves. However, Adelson wouldn’t completely admit to being involved in the reshuffling. “There’s no way any one person can operate an 8,000-mile-away property,” he said in April. It now appears that another iceberg may be on the horizon for Adelson. If the Vegas tycoon is found to be involved in any sort of corruption, it could hamper his political clout for the 2016 presidential election and potentially void his longstanding gaming licenses in Nevada.